Do you have certain recipes that HAVE to be cooked at Christmas, and cooked in a certain way only? Well, I’m delighted to welcome author Terry Shames to my blog today with one of her family’s much-loved holiday recipes. Note: for previous visitors from America, I’ve had to painstakingly translate all the measurements from US standard to British standard. Today, though, I don’t have to – because there aren’t any measurements! Hooray! This is my sort of recipe! Terry is one of the collaborators in our Bake, Love, Write dessert recipe book, which is available in paperback on Amazon US and also on Amazon UK, and also in Kindle format. Every year at Thanksgiving and Christmas, my family waited cautiously to find out whether we’d get “regular” stuffing, or if my mother would be off on another one of her tangents to shake things up—by which she meant, make her turkey stuffing better. Having heard other families’ stories and attended other family Thanksgiving and Christmas celebration, I’m pretty sure my family wasn’t the only one that had a nervous relationship with what goes with the bird. I’ve heard arguments over whether stuffing should be made with cornbread or bread, whether it should be cooked inside the bird (NO!) or separately, whether to use turkey drippings or chicken broth (too greasy vs tasteless), and what else should go into the stuffing–nuts? Celery? Onions? Sausage? OYSTERS? Notice the lack of measurements in this recipe? That’s because there were none. Mother had a particular, yellow bowl she made dressing in. When the bowl was full of cornbread and a few crumbled biscuits mixed together, then she added celery and green onions “until it looked right,” and celery, green onions, salt and pepper, and sage “until it tasted right.” And then when the turkey was done, she added the drippings and melted butter “until it was the right consistency.” While the turkey rested, the dressing got popped into the oven to cook. Every year it seemed like a miracle that with no recipe it turned out perfect.y. Here’s the problem: no amount of raving would convince mother that the dressing was really good. She had a litany of complaints ready—too much salt, not enough salt, the sage was stale, or the dressing was soggy or too dry. Or the cornbread had been too sweet or too…..you get the message. I never figured out if she was fishing for compliments or if she really thought her efforts didn’t measure up. Every few years, she’d run something new in on us—a new recipe she had found that sounded good. One year it was rice dressing. It tasted great, but it wasn’t dressing! One year she decided she should use packaged cornbread dressing mix. It was okay, but it wasn’t her dressing. One year she decided it needed oysters. We lived on the Gulf Coast and got terrific oysters. Delicious oysters. Plump, juicy oysters. Oysters that didn’t belong in stuffing. It was good, but IT WASN’T STUFFING. The funny thing is that now that Mother is not longer around to make the stuffing, my sister and I are able to make it taste pretty good—using her non-recipe. Terry Shames writes the best-selling Samuel Craddock mystery series, set in the fictitious town of Jarrett Creek, Texas. 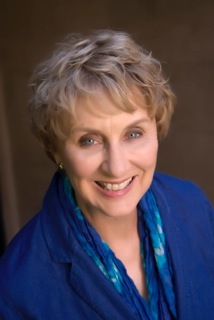 Her first novel, A Killing at Cotton Hill (July 2013) was a finalist for the Left Coast Crime award for best mystery of 2013, the Strand Magazine Critics Award, and a Macavity Award for Best First Novel of 2013. MysteryPeople named it one of the five top debut mysteries of 2013. The Last Death of Jack Harbin (January 2013) was named one of the top five mysteries of 2013 by Library Journal. 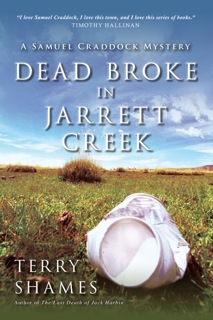 Dead Broke in Jarrett Creek came out October, 2014. A Deadly Affair at Bobtail Ridge comes out in April, 2015. Do you have any recipes you have to make in a certain way each Christmas? And stuffing inside or outside the bird – where do you stand?? If you’ve enjoyed Terry’s post, or have any questions or comments at all, please let us know – we’d love to hear from you! Previous Post A recipe for Tourtière and a fabulous book collection – all part of Christmas on Main Street! My husband loves cornbread stuffing! Kitsy, I’ve never tried it! Cornbread isn’t found much in the UK. Now I’m very curious to know what it tastes like. Thanks very much for dropping in! Aloha Helena, :-) What fun. ;-) It reminds me of a story I’ve read where every year someone does the turkey a different way and everyone hates it. LOL. But can’t for the life of me what what it is. :-) Stuffing for American recipe is often baked separately, whereas we do like the Brits do and stuff it in the bird. Cornbread is made with ‘cornmeal’ or polenta as was said. When you bake it, it has a slightly ‘gritty’ texture, but it’s not unpleasant. It comes out a yellow coloring and is somewhere between a bread and cake texture. Excellent with a cane of cream cream corn added to the recipe and then eaten hot, with lashings of butter. yum!! I like it backed in the corn shaped husk tins too. LOL. Hi Meg, that story rings a bell with me, too! Maybe someone reading this blog might remember what it is. Or if it isn’t a story yet, it would definitely make a good one! Your description of cornbread sounds SO delicious. And I’ve never seen corn shaped husk tins, either. What a brilliant idea! I wonder why we don’t often see this in the UK. We have adopted recipes and foods from all around the world and made them our own, but this one has passed us by. Your recipes sound delicious! It would be good to know how to make them. Maybe you could post them to your blog, or if you’d like to come to mine, you’d be welcome! Thanks for coming by with your explanation about cornbread. That’s really whetted my appetite! Oh, yum, Pavlova! We go to a friend’s house for a party every Christmas and she makes Pavlova. My sister read my post and she reminded me of a year when our mother and her husband’s aunt were both cooking the Thanksgiving meal and almost came to blows over how the stuffing would be made! Ah, family! Oh, that’s so like family, Terry! I can just imagine the scene. That made me laugh out loud! I developed my own ‘cornbread stuffing’ that is cooked by itself. It’s so freaking good that everyone insists I bring it whenever a chicken or turkey is cooked. I hated my mom’s stuffing, which was bread with sage. Loved the smell, but it was awful. Mine is so good that sometimes there isn’t any left for leftovers! Pepper, I really must try and make cornbread stuffing for myself. The stuffing I make at Christmas is a combination of bread, sausagemeat and sage. I really like it, but I’d like to give the cornbread version a try! Terry, I so enjoyed your post about the turkey stuffing your mom made. My mom made it the same way without measuring anything, but according to how it looked also and it always turned out well. She did that with much of her cooking and she was a great cook. This Thanksgiving my daughter-in-law’s mother is bringing the stuffing, so I won’t be making it. Her’s is excellent as well, I’ve had it a few times. It’s a bit spicier with hot sausages in it. Thank you so much for your post and thank you, Helena, for always having such interesting topics here. Stuffing with hot sausage sounds a delicious alternative! I’m getting so many great ideas for Chirstmas, I just wish I had the time (and the waistline!) to try out everything I’ve heard. And it’s great that your family members each bring a dish, Susan – that’s another really good idea. I enjoyed reading your post, Terry. I like the idea of using biscuits to moisten the stuffing. I’ll have to try it. I remember my mother in the kitchen preparing the most elaborate dishes. She never even cracked the cover of a cookbook. She seemed to “know” how much of everything to use. She never turned out an unacceptable dish. My favorite ingredient for my stuffing, besides the bread, is oysters. My mum used to make a fabulous turkey roast dinner, too, Kathleen, and her Christmas pudding was heavenly. I have never heard of oysters as an ingredient in the stuffing. I’m learning so much! Thanks so much for your great comment. It’s lovely to hear of all these traditions. Nice to meet you, Terry. I second Susan’s comments, Helena. Thanks for always having such interesting posts on your blog. Meg’s description of corn bread with the corn in it is accurate, but I’d say not common. I’m much more familiar with cornbread w/o the corn, just the corn meal. My mother always made the dressing, too. Dad baked the turkey. I can testify that my husband’s turkey is just as good as my father’s ever was. I make the dressing like Mom, no measuring, just taste and look. I disagree with the assessment that canned chicken broth makes for blah dressing. You really save a ton of calories with that addition. (And yes on the outside.) Salt, lots of pepper, Sage for sure. I confess to using Peperidge Farm tradtional dressing mix, but then add lots of celery and onion. My mom always put chestnuts and sometimes the oysters. ( I don’t care for them. Never ate them when she made oyster stew. The little crackers added bulk to that meal.) For years I spent hours and hours on the chestnuts, finally I’ve given up They are just too hard to get to. Though I love them. Terry, you obviously hit on a subject near and dear to a lot of our hearts. Dressing. Your books sound interesting. I’ll be sure to check them out. Good luck with your writing. I’ll FB and Tweet. Hi Marsha, what a great comment. I had wondered if cornbread had corn in it or not. Now I see you can have either. My mum cooked the whole Christmas dinner in our house – everything. We kids helped peel the potatoes and did all the clearing away and washing up. I don’t mind cooking everything on Christmas Day. In fact I enjoy it. Christmas dinner is my favourite meal. And regarding packet mix – we have a stuffing mix called Paxo available, but I really wouldn’t recommend it. It’s pretty vile, and nowhere near like the real thing. We used to get it for school dinners at Christmas time, and most people threw that bit away. Really interesting to hear your take on the cooking. Thanks so much for dropping in. Great comment! Love reading everyone’s comments. Makes me wish I was cooking again. I always put at least 6 tablespoons of butter under the turkey skin to get it super moist, other than that, I have no idea. LOL. The cornbread recipe has been adopted and adapted by me Marsha, so it’s not totally authentic. :-) It came from some people called The Neelys on Food Network or somewhere. But everytime I make these, people want the recipe. They’re nice to take to a ‘do’ or a function. You can make them in cupcake paper cups or just cooked in a tin. I like the cupcakes. Into a large bowl, mix the cornmeal, flour, baking powder, sugar, and salt. In another bowl, whisk together the whole milk, eggs, butter, and honey. Place muffin paper liners in a 12-cup muffin tin. Evenly divide the cornbread mixture into the papers. Bake for 10 to 15 minutes, until golden. I forgot to ask what Pavlova was. ??? Pavlova is a delicious dessert, Marsha. It’s basically a nest of meringue filled with fruit (raspberries and blackberries, or strawberries) and then topped with whipped cream. It was named after the ballet dancer called Anna Pavlova – but I don’t know why. Perhaps it was invented for her. It’s my national dessert Marsha. It’s also the Aussies dessert. LOL. We fight over who it really belongs to. :-) It’s definitely named The Pavlova, after Anna the dancer. It was said that while she was on tour in the 1920’s, a chef wanted to create something special for her and named it in her honour. It’s a raging controversy between NZ and Australia. LOL. So… a chef in NZ or Australia made it for her and named it. I think the Aussies did the name. But we possibly did the first ‘meringue cake.’ Although in truth, given both NZ and Aussie have British and Irish heritage, it’s likely the recipe was brought over from there, like say, Cornish pasties. Passion fruit pulp is available, but not necessary. If all these are in short supply. Cut a 23cm round (about 9”) out of parchment paper and place it on a flat baking tray. Separate the egg whites and beat with an electric beater until soft peaks form. Then start adding the sugar, a couple of tablespoons at a time. You will need to beat this for 12 minutes on a fairly good speed to get the height out of the egg whites. Don’t skimp on the time otherwise you won’t get the body you want to hold well. Spread the mixture over the circle with a spatula. Make furrows up the side of the pav and smooth the top. Bake for an hour and 15 mins to 30mins until dry on the middle shelf. When you tap it, it should sound hollow. Turn the oven off, leave the door open and let cool. Then plonk lots of whipped cream on top and decorate with slices of kiwifruit and quartered strawberries. We often put passion fruit pulp on it too. Use an electric knife to cut it if you have one. It’s a wee bit messy, but sooooooooo good. It will only last for the day, but I’ve never had any left over. LOL. Decorate close to serving for best results, but you can keep the dry pavlova in an airtight container non-refrigerated until you’re ready to decorate it. Thanks so much for the recipes, Meg! I saw your photo of the Pavlova on FB, and it looks absolutely fabulous! I can’t wait to have a go at it. As for the cornbread, I’ll have to hunt down some of those ingredients, as it’s not very common here – but it does sound delicious! Thanks so much – this has been really fun!! I put eggs in my stuffing, too, Ellis. We don’t like change, either, and I’ve made the same one for more than a decade. Perhaps it’s time for me to branch out! Thanks very much for dropping in, and for your comment! I’m sorry to hear about your mum, Melissa. One thing I love about our Bake, Love, Write book is that it has a lot of much-loved recipes that have been handed down in families. It’s lovely to keep the traditions alive, especially in the holiday season. Thanks so much for your comment, and for dropping in. You guys! This has been a wonderful thread. I was on the plane from Texas today and wasn’t able to respond, and now I’m home and loving this discussion and the recipes! Terry, this has been a great post – thanks for sharing! Hope you had a great flight home and are looking forward to Thanksgiving!